Amid all the rumours of struggling sales and possible buy-outs, one analyst reckons Nokia shifted around one million Nokia Lumia 800 handsets in the last three months of 2011. The estimation comes from research company Morgan Stanley, and isn't massively high given that Q4 is the quarter in which Christmas and its associated spending falls. However, if accurate it means that Nokia has outstripped other analysts' predictions that it would shift only half a million units before the end of 2011. 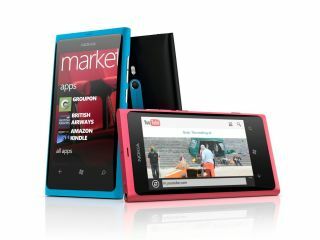 Morgan Stanley thinks the good times could be ahead, predicting that the Finns will sell a massive 37 million Windows Phone handsets throughout 2012. This will come at the cost of the ailing Symbian OS, which could see its sales fall to around 40 million this year – given that Nokia shifted over 70 million Symbian phones in 2011, that's quite a drop. Nokia has certainly begun the year on a high, with its first Windows Phone handset for the US market unveiled at CES 2012 in the form of the LTE-toting Nokia Lumia 900.